Where can I find the Teaching & Learning Collection? 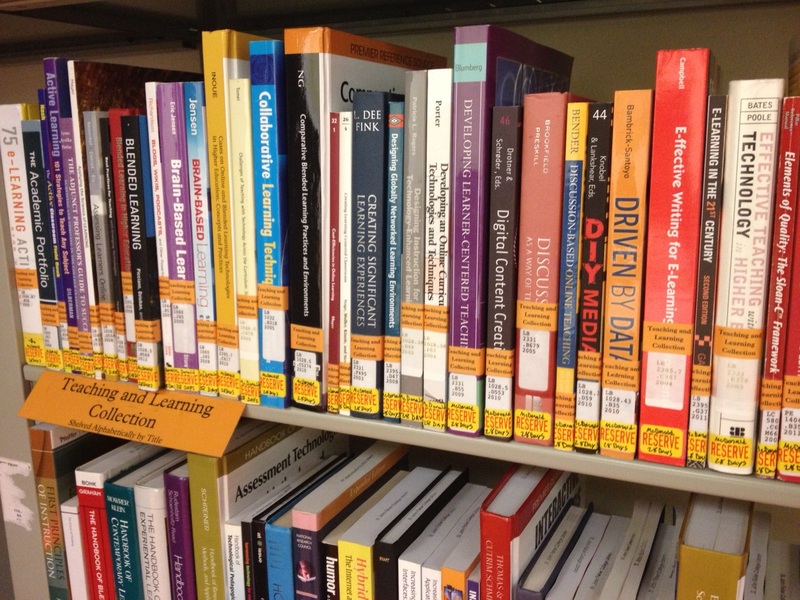 The Teaching and Learning Book Collection is located in the Educational Technology Instruction room in the lower level of Lavery Library, room L109. The collection contains books related to the topic of teaching and learning in higher education. Specifically the collection covers topics including a variety of teaching strategies, like active, collaborative, problem-based and team-based learning, as well as topics on online learning, blended and hybrid learning and the general use of technology in education. The collection will evolve over time and will grow in the number of topics and areas covered. The Teaching and Learning book collection is a special collection within Lavery Library, but follows all of the same processes and procedures to check out and return any books from the collection. However, there is a 28-day check out period for all books in the collection. All requests should go through the Lavery Library circulation desk. If you have any questions or ideas for additions to the collection, please forward those to Katie Sabourin at ksabourin@sjfc.edu. Use the links below to access the books in the collection on each of these sub-topics.